on the History of Miami and Miami-Dade County. 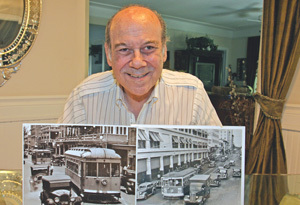 We will pass top attractions, Historic, Remarkable, and Unusual; and hear tales of Miami Beach Cities from your guide Seth Bramson; Adjunct Professor of History and the author of more than twenty two books. Travel to Historic Ft. Myers and have a Docent Tour on the historic buildings which stand in graceful restorative pose, including the Thomas Edison home and guest house, and Past President Gerald R. Ford’s winter home. We will travel on a luxury bus, and should arrive home approximately 9:00 P.M.
Breakfast: Cracker Barrel, Naples Fl.